I think we must have been stalking celebrated British chef, Rick Stein for quite a while. After he popularised barge cruising in ‘Rick Stein’s French Odyssey’, we also went barge cruising in France and with the same excellent, company, GoBarging. We also had an amazing time, full of gastronomic experiences, just like Rick did. We then ate Babi Gulung at Ibu Oka in Ubud, Bali just as Rick Stein did. Just as this famed chef made paella in Spain, we graduated from the Paella Academy in Valencia. Just putting it out there that we ‘graduated’. We have similarly eaten in Cambodia, Thailand, Vietnam, Malaysia and Sri Lanka, which Rick Stein explored in his Far Eastern Odyssey but we did not get into Bangladesh. 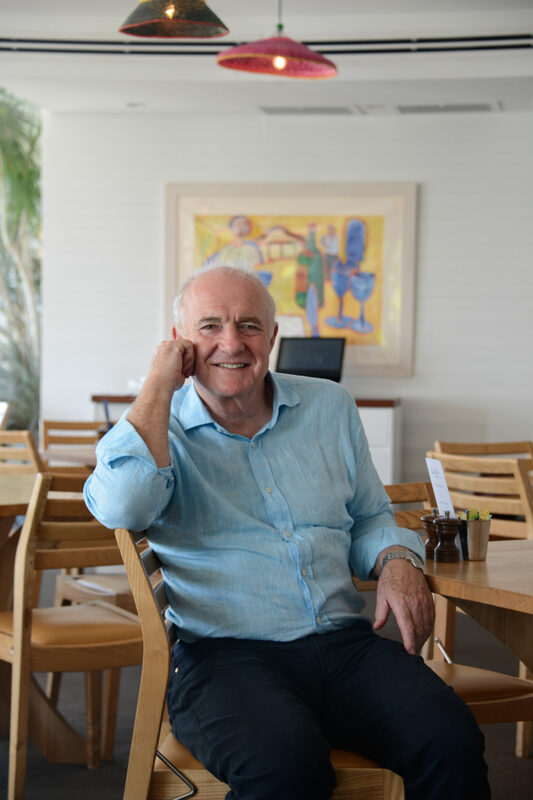 2.1 Hear what Rick Stein has to say about the region, and know that visiting the Shoalhaven will amaze you. 3.1 We started our gastronomic venture with – seafood. As if we were not going to. 3.2 The Shoalhaven is a gourmand’s paradise, and that is what lured Rick Stein here. 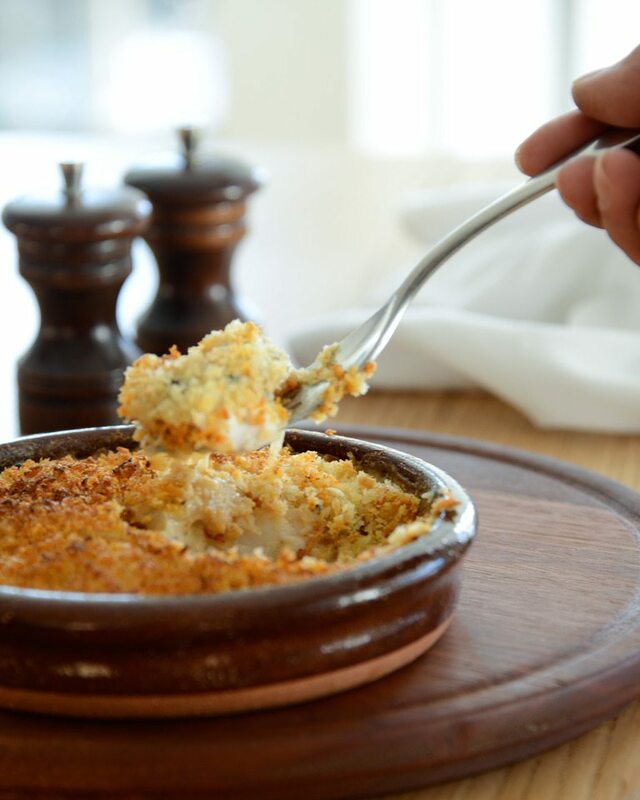 4.1 Bannisters Fish Pie – I am going back for this one. So it stood to reason that we would need to visit Rick Stein at Bannisters, the restaurant in Mollymook Australia that he opened in October 2009. Rick Stein has a love affair with Australia, which has spanned a long time since his first visit at the age of 19. 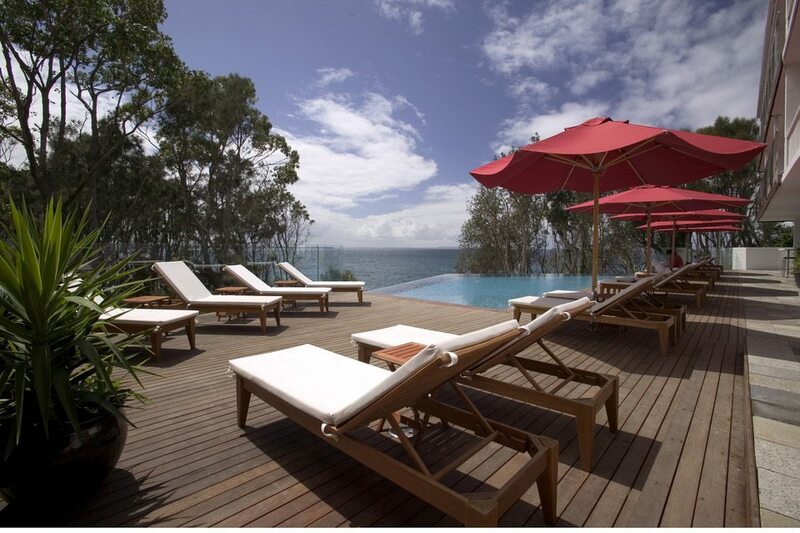 The lure of this The Shoalhaven area where Mollymook is located is part of the unspoilt south coast of NSW. Here Rick Sten, and we, find pristine beaches, great weather and the freshest seafood, which is one of his signatures. This is what drew him away from his loved Padstow in the UK, if only for limited times throughout the year. Rick Stein was not present when we were there. It could have been his commitments to his other restaurants, bistro’s and a fish and chip shop, or it could have been a restraining order. Not sure which. 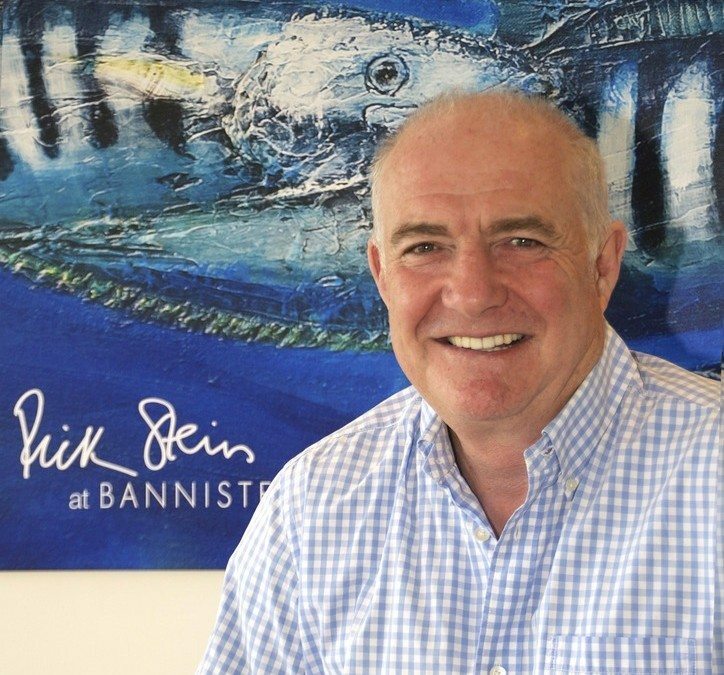 Regardless, Rick Stein at Bannisters is his restaurant, his menu and his personally trained chefs who stand for everything that Rick Stein has built up over his impressive career. Bannisters by the Sea, Mollymook is a chic and desirable place to stay. Hear what Rick Stein has to say about the region, and know that visiting the Shoalhaven will amaze you. We arrived at the restaurant,with great excitement as you would. Sitting next to me was Collette Dinnegan, an Australian and international fashion designer. I kept my cool though I was tempted to ask for a photo. However she was busy as she is redesigning the rooms at Bannisters. For a Wednesday night when the normally idyllic weather was not as idyllic, the restaurant was full. The service was immediately professional and pleasant. We started our gastronomic venture with – seafood. As if we were not going to. 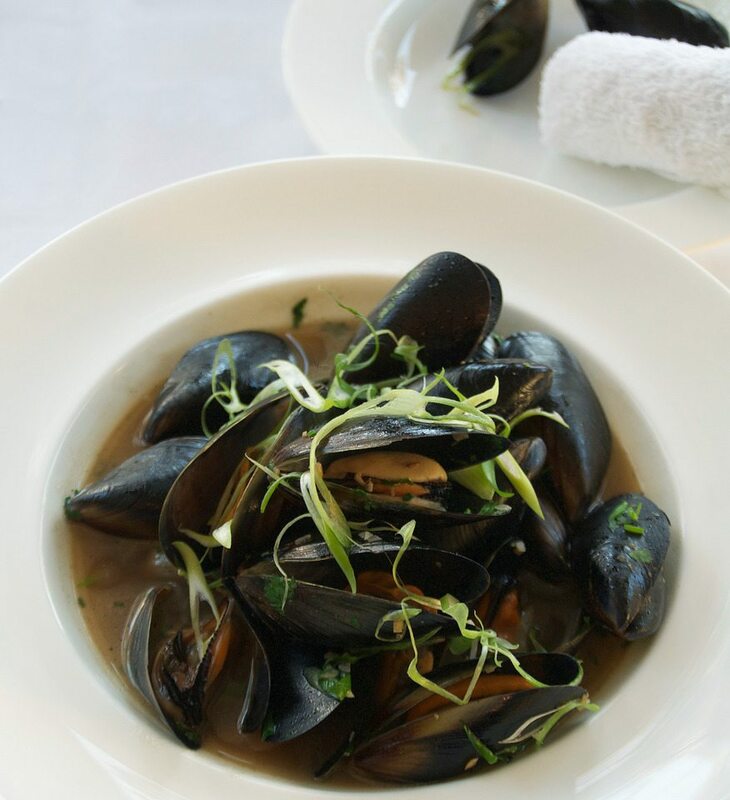 I commenced with the Stir Fried Eden Mussels with Black Beans, Garlic, Ginger, Coriander and Spring Onion. The mussels were plump and the sauce was the lightest and most flavoursome sauce that I have tried. Gordon had the Oysters Charentaise. Described as “A seemingly odd combination – freshly opened oysters with some hot, spicy sausages. The idea is that you eat an oyster, take a bite of the sausage, then a good gulp of cold white wine.” He ate it with great pleasure before he photographed it. I went on to a main of Indonesian Seafood Curry with Ling, Squid and King Prawns, served with green bean and fresh coconut salad and steamed rice. Gordon had Madras Fish Curry of Blue Eye Trevalla, Tomato and Tamarind. 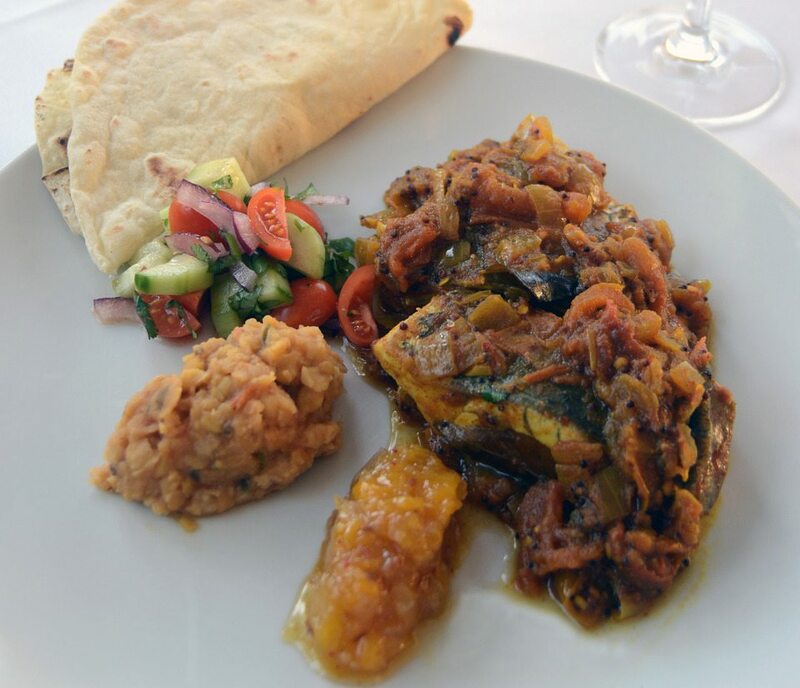 “A beautiful hot and sour Southern Indian curry which brings out the very best of one of my favourite fish. Don’t believe it when people say spice ruins the taste of good fish, it accentuates it.” It did, it was a beautiful meal. All we can both say is that the seafood from the Shoalhaven area is delicious and the chefs certainly know what they are doing. The portions were very generous, meaning I could not quite get through my main. That also could have something to do with the fact that we ate at Tallwood for breakfast, and then had a very large lunch at Cupitts Winery and Restaurant. 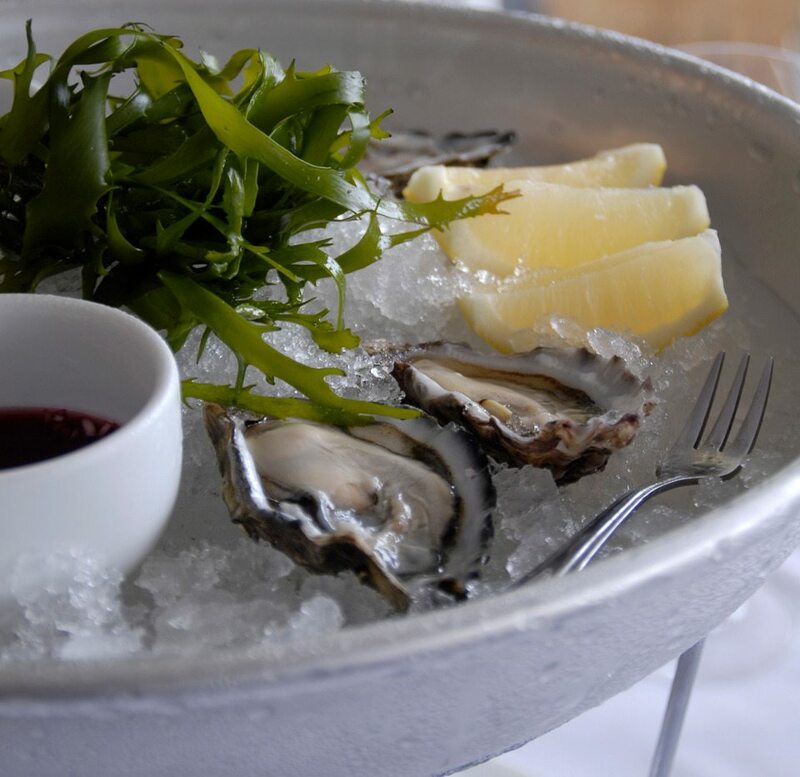 The Shoalhaven is a gourmand’s paradise, and that is what lured Rick Stein here. Because I can’t help myself, I did order dessert. I chose a mix of ice cream and sorbets, and here again you can see the influence of Rick Steins travels. There was an orange and cardoman as well as a coconut inspired sorbet. The other was chocolate, because ..well ..it was chocolate. 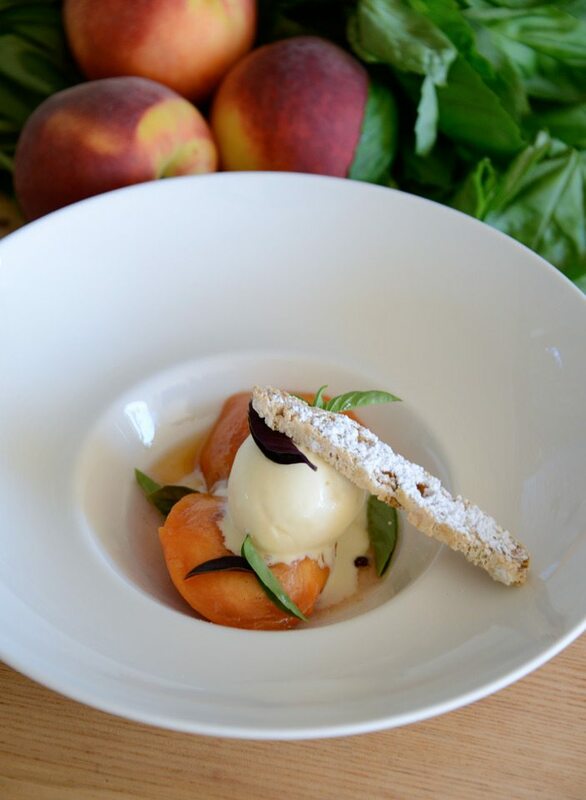 Gordon selected Kaffir Lime Leaf Panna Cotta with fresh mango, toasted coconut and mango sorbet. We had a beautiful meal. 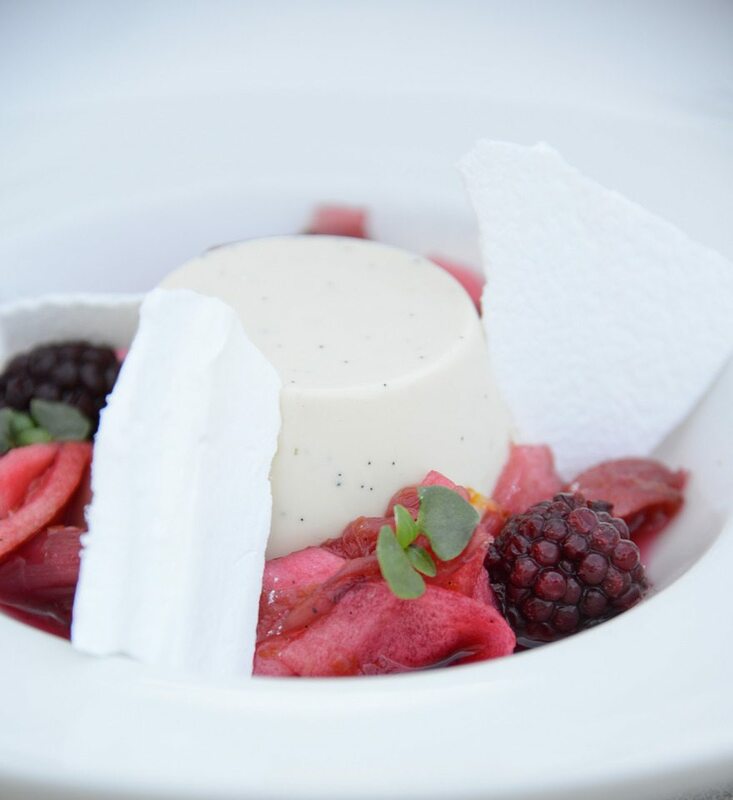 We did appreciate the freshness of the ingredients and the styling of the flavours. We are onto such a find in the Shoalhaven region of southern NSW, Australia. Bannisters Fish Pie – I am going back for this one. Thank you LBPR, Bannisters, Shoalhaven – awesome opportunity. The food looks incredible! A shame he wasn’t there, but as you said, it was probably for the best really lol. LOL, I would have been cool, calm and collected ..I hope. It seems as though we are treading his path. That is serendipity; restraining order or not. We will come with you when you come to visit. Somehow, I have never heard of Rick Stein. This is strange because I love food, and I love travel. Well, now I know to look him up because all that food you showed and described looks extremely delicious. I especially like all the dishes with the Asian influence. Thanks for introducing me to him. You will love watching Rick Steins Far Eastern Odyssey and Rick Steins French Odyssey. He manages to combine flavours effortlessly. We are drooling after reading this post! That seafood looks incredible and coconut is one of my favorite sorbet flavors! Delicious! We will have to check out his recommendations when we travel! The food was delicious, the service professional and friendly. Thoroughly enjoyable. Ooooh thanks for this Paula! We’re in Canberra and were actually just thinking of taking an overnight trip to Mollynmook next week, so I guess I don’t have to worry about researching where to eat for dinner now! Seafood looks amazing 🙂 Can’t wait! Oh, Paula, that seared ahi alone is convincing enough for me to visit Bannisters. Too bad is all the way in Australia. I think you should come to Australia, we are not that far away. 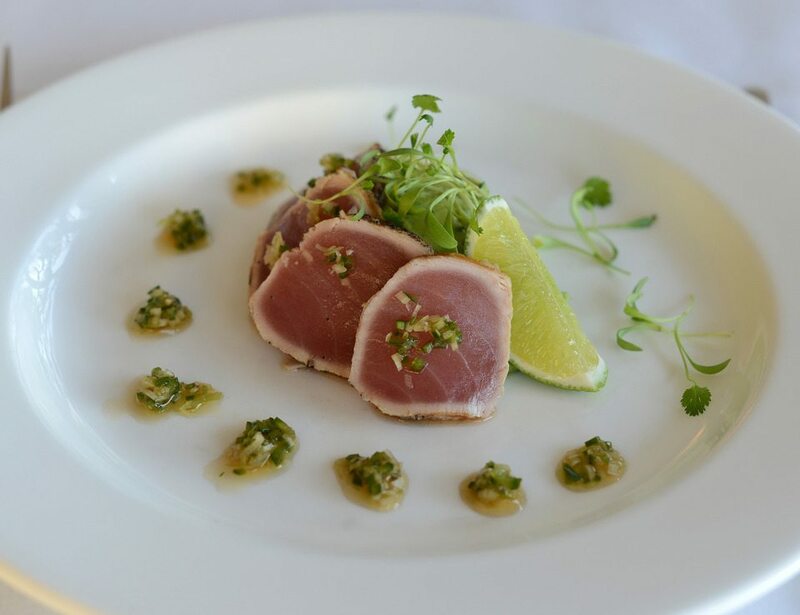 The one thing I do miss about Australia when we travel is the diversity of our food, and the seared ahi at Rick Stein at Bannisters is just one example. I am a big fan of seafood and looking at your photos makes me want to jump on a plane and head straight to Rick Stein at Bannisters. I would love to try the Bannisters Fish Pie and the Madras Fish Curry. I can’t believe how well he married up the flavours with the seafood. It worked beautifully. My mouth is watering now. I just ate, but I think that I am hungry again! 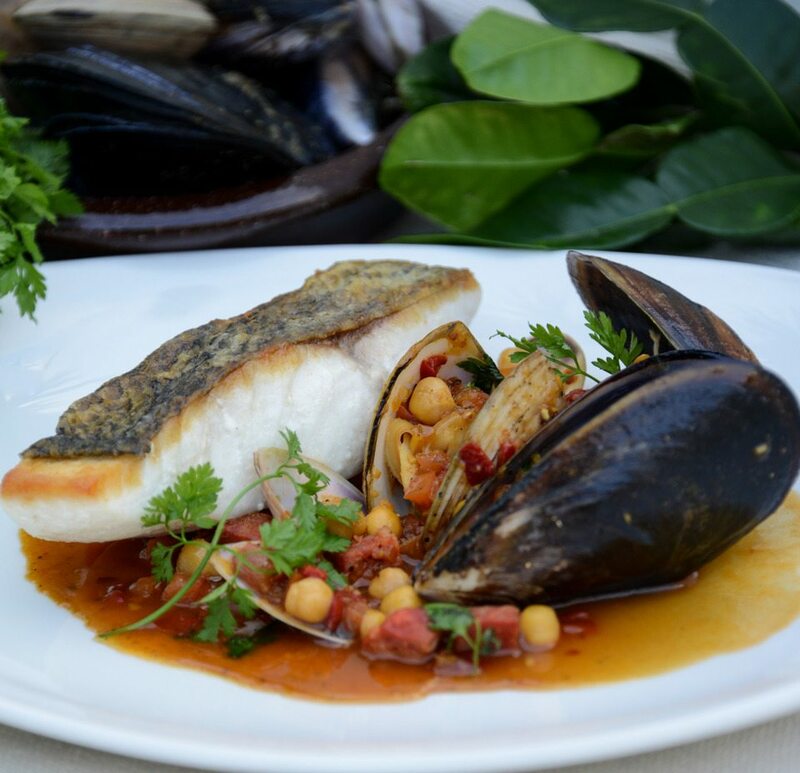 The food looks excellent, and I am glad you were able to visit Rick Stein at Bannisters. I would also love to go at some point and try everything…! Thanks Natalie, we certainly enjoyed our experience. I hope you do get to have this experience too. Rick Stein has done some amazing TV series through many European and Asian countries. He is a British Chef and fell in love with Australia and the fresh produce of the country and the Shoalhaven in NSW. The mussels were so amazing. Plump and the sauce .. now I am hungry. I finally got introduced to Rick Stein. So he is the Rick Steeves of foodie travels! I will now make it a point to go to his restaurant in Australia! Thanks for this and your mouth-watering photos of his creations! Thanks, you will love Australia and definitely visiting the south coast of NSW. Rick Steins at Bannisters is beautiful 3 hour drive from Sydney. Stay a while down there. That will be the next place we will have to stalk him. I love the Rick Stein cookbook I have. I’ve only been to his restaurant in Padstow and some day I want to take a cookery course there. I would love to do a cookery course there. Putting that on my list. Wow! The food looks delish. Pardon my ignorance but I assume Rick Stein has a TV show where he visits certain places. Is that true? Looking a bit more into Rick right now.. I am a bit of a foodie, in that we seek out different and unique experiences. These can be street food in Asia to 5 star restaurants. The fish pie is really popular. Shame he wasn’t there. I love Rick Stein. The food looks so yummy. I know, I would have loved to have gotten a photo with him. But I probably would have chickened out and not asked. well, I shall put it on the list next time I come to AU! Definitely and we will come with you. Paula that fish pie looks divine, I want to try it. Those desserts don’t look too bad either. Looks like you are in luck, stalking Rick Stein, sitting next to Collette Dinnegan and scrumptious food, what more could you want? I know. I felt that I was name dropping and I was. It was unique as is the food scene in the Shoalhaven area. I have more posts coming up on the different places we ate at there. All amazing. If you’re going to stalk someone, it might as well be such an incredible chef 🙂 I would love the opportunity to eat at Rick Stein at Bannisters. All the food looks amazing. I want to try the Fish Pie! I agree, he is an amazing chef, and the Shoalhaven region of NSW really is a foodies paradise. Yes I feel like fish pie now. We love watching Rick Steins gastronomic adventures. I love the travel part of the stories and my partner Steve likes to think he will be able to cook these wonderful dishes and so we now have a couple of Rick Stein cook books – that has turned Steve into a bit of a cook. Wish we lived nearby to check out his restaurant. That is what I like about Rick Stein and his food; he does not try to be too tricky. Fresh produce, and perfect flavours. We certainly enjoyed our meals. Let me know how your partner goes with his cooking ventures.